Up early so I figured I'd use the Internet while it's available. As mentioned, yesterday was a day of testing the team. Research sounds a little "glamorous" for working in a lab or doing field work in sometimes exotic places. 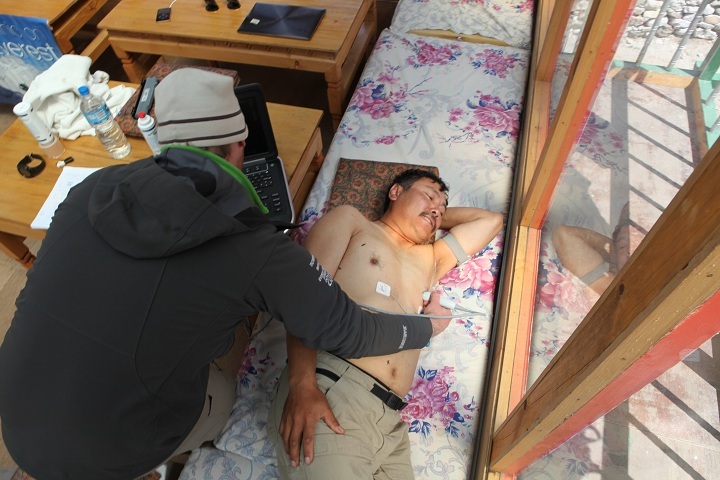 In the picture below, while not part of the official study, our guide, Ang Temba Sherpa is shown the process of being scanned using the Sonosite ultrasound. But much of what happens is data collection and entry. 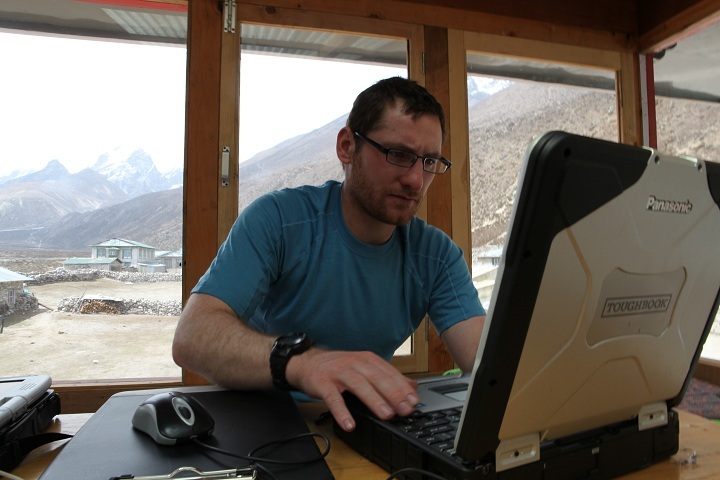 In the photo below, Dr. Bryan Taylor uses one of the Panasonic Toughbooks to input data gathered earlier in the day.